LIKE NEW !! 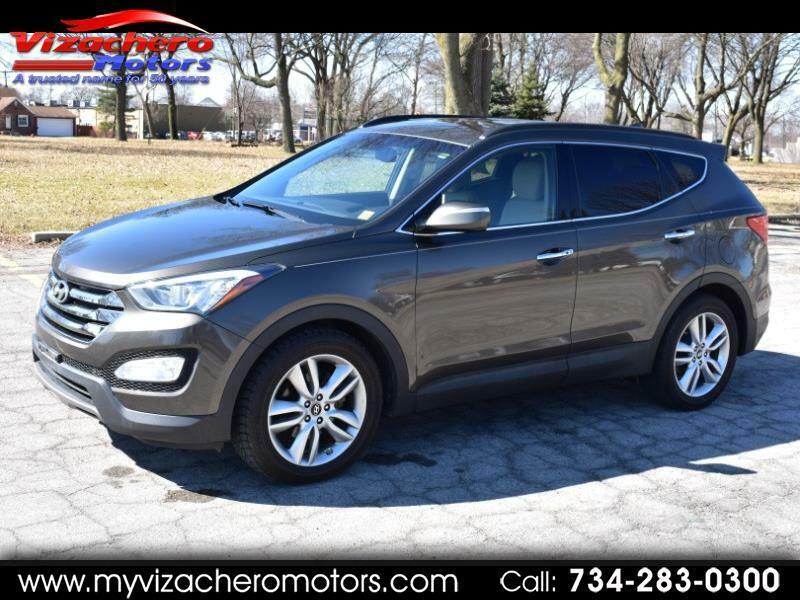 - INSIDE & OUT THIS IS A BEAUTIFUL SANTA FE SPORT !! - ORIGINAL LOW MILES !! - 44,442 MILES !! - LOADED UP NICELY WITH OPTIONS !! - NAVIGATION - POWER SEATS - HEATED SEATS - BACK UP CAMERA - AM FM CD INFINITY TOUCH SCREEN BLUE TOOTH STEREO - INTERIOR WOOD GRAIN TRIM - TURBO 2.0L 4 CYL ENGINE - AUTO TRANSMISSION - & MUCH MORE !!! - A MUST SEE AND DRIVE - NON SMOKER - NO PET ODOR - LIKE NEW - RUNS, RIDES & DRIVES LIKE NEW !! - A REALLY NICE NEW CAR TRADE IN !! - - WE ALSO OFFER GUARANTEED CREDIT APPROVAL FOR ALL !!!! - PLEASE BUY WITH CONFIDENCE...OVER 58 YEARS OF AUTOMOTIVE SALES AND SERVICE...OVER 6000 VEHICLES SOLD !! - HOPE TO SEE YOU SOON!! !